Our school was designated as a member of the worldwide network of UNESCO Associated Schools (ASPnet) in October 2009. The policy of ASPnet schools is to promote quality education by reinforcing the humanistic, cultural and international dimension of education. ASPnet schools are also considered as “centres for innovation” and serve to promote UNESCO ideals in the community. As a representative of Kanto-district in Japan, our school participated in the 2014 UNESCO ASPnet International ESD Events for Students and Teachers. The conference showcased many ESD related workshops and presentations, with one of our students giving a presentation on the topic of “Omotenashi as Cosmopolitans” and discussing ideas and suggestions for sustainable development around the world. The conference ended with adoption of a joint declaration saying what high school students can and should do now and in the future*. 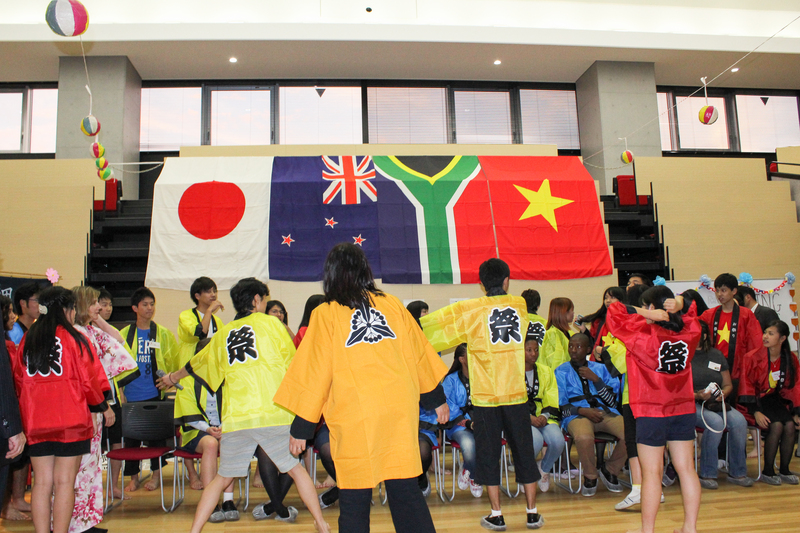 Before the international conference, we played host to participating students from New Zealand, Vietnam, and South Africa with other students from Chiba Prefecture. Here students had opportunities to engage with each other through activities such as kimono wearing, Japanese calligraphy, and Japanese dances, and because of these, were able to form many new relationships which will hopefully lay the foundation for future international exchanges.